09.30 - 16.30 Enjoy a leisurely day of Sightseeing, Swimming and Kayaking. A multi- course Lunch will be served mid-day. 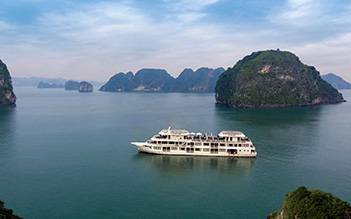 Halong Bay is a world heritage area and I can see why. Nearly 2000 little islands in 2000 square kms and floating fishing villages. Great food, very comfortable ensuite room, plenty of activities and amazing scenery. The are only 5 of us doing 2 nights so we were transferred to a large "day boat" which can hold about 60 people and only 5 of us - There were 5 staff and a guide. Weather not too hot and overcast. Swimming good. I thought the drinks expensive but everything was very well done including seating by national flags. I think this is the right company but the junk was called "Victory Star"
We did the 2 night 3 day cruise on board the Victory Star, and can't say enough good things! Everything was well thought out and planned, the food was delicious, the rooms have private balconies, and the staff was amazing. 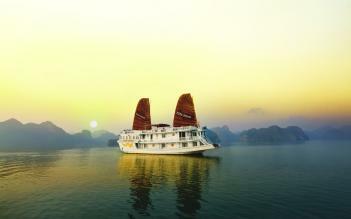 I would highly recommend doing the 2 night cruise, as even with the 1 night option, most of your time is spent traveling. 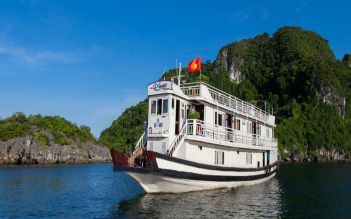 Also, most people opt for the one night, so the second day (when you go deeper into Halong Bay and away from the super touristy spots) it was just my boyfriend and I on the day boat. It was just our boat and some fishermen, it felt like we had the place to ourselves! If you are debating between the one or two night option, do the two night! 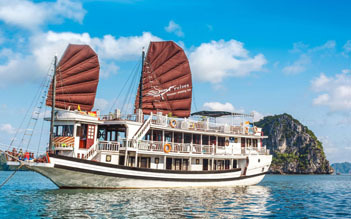 There are so many options for cruises out there, and I highly recommend the Victory Star, we had an amazing experience from start to finish! 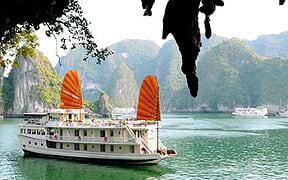 There are so many boats in the Halong Bay but from the outside this one is the biggest and nicest I saw. 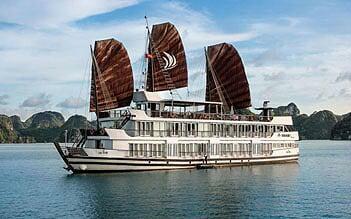 Our cruise was 3D2N and everything was excellent: we had a very nice suite for our stay, clean and comfortable. 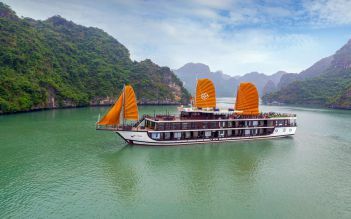 Everything in the boat was clean and very well organized, as well as the services and the external visits. Excellent breakfast, staff extremely kind as we had a nice and unexpected surprise for our honeymoon. Thank you for all, we will never forget those moments. Strongly recommended. 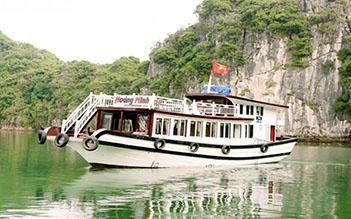 Had been do looking forward to my Halong bay trip and the trip matched my very high expectations. Onboard the Victorystar which is a lovely boat and the rooms are just fantastic, with huge bed, great bathroom and a super balcony so you don't miss a thing. The restaurant served done lovely food, the bar mixed some great cocktails and a great time was had by all. 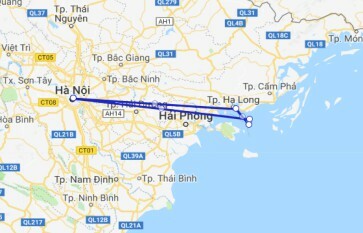 Such a fantastic trip in such a beautiful area you need the confidence that your going to have the comfort to enjoy everything you see and the Victorystar certainly provided everything you could want.